This article was first published on the TrinityP3 blog in Feburary 2017. TrinityP3 are Australia’s leading Strategic Marketing Management Consultants with offices in Sydney, Melbourne, Auckland, Singapore, Hong Kong and London. They assist marketers, advertisers and procurement with agency search and selection, supplier alignment, media buying benchmarking, stakeholder and supplier relationship management, remuneration modeling, process optimisation, environmental policy alignment and much more. 2016 was a big year for TrinityP3. And this was reflected in Google Analytics results. For the first time in 2016 we had more than 200,000 visitors to the TrinityP3 website. And this is a remarkable achievement for a business and website that focuses on topics that most people outside of the advertising and marketing industry are not aware of. Who would be aware that there is a very necessary role in managing the relationships, remuneration, alignment, processes, rosters and structures of major businesses and organisations and their advertising agencies? Yet, the content that has been published on the TrinityP3 blog has reached a significant number of people around the world. TrinityP3 is in the process of transitioning from an Australia-centric approach to a global business. TrinityP3 Australia is now joined by major initiatives in London, New York and Singapore. How did we get to the 200K visitors mark? I have published a couple of posts that have detailed our strategy and results, first with this post in 2013 which examines ROI mapped to web traffic growth and then with this comprehensive review of analytics, revenue results and a full strategy in 2015. In this post I will revisit the strategy, will explain some bumps in the road and will talk about what happens next. This makes it very clear that organic search is the dominant channel. 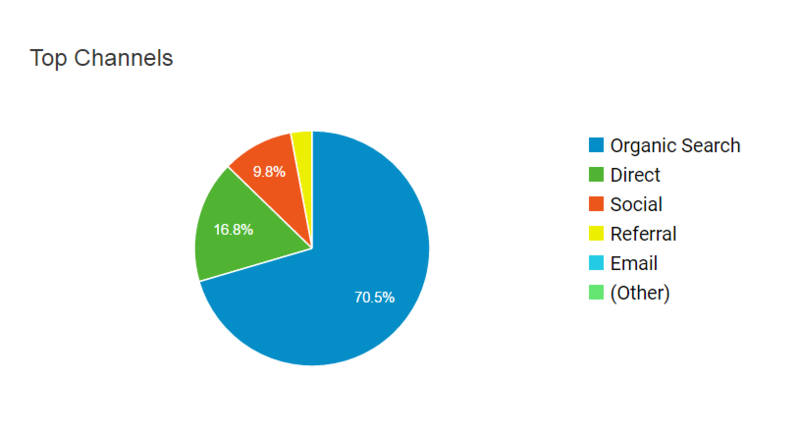 Google organic search accounts for 67.8% so Bing, Yahoo and other search engines barely feature. Direct are people who already know the site, some “dark social” traffic, visitors where links have been shared in emails and some untracked or undisclosed search traffic. Social media brought just under 10% and referral, email and others make up the balance. Why does organic search feature so strongly? We have developed and implemented an inbound marketing strategy that was first launched in early 2011. The strategy has been reviewed and adjusted regularly as requirements and best practice change extremely quickly in this space. Google alone was making more than 400 changes to its algorithm and policies each year and these were all documented up until relatively recently where they moved to a strategy of only announcing major changes. Social platforms have also made major changes and new platforms have arrived and some of these have stayed the distance (others not so much). Each of these is essential to the overall strategy and all serve to incrementally grow web traffic and business outcomes. Let’s start with content marketing as this is the most visible of the four pillars. The overriding principles of this strategy are value, expertise, quality, leadership and a unique voice. TrinityP3 is a team of industry experts – the leadership and consultants have a huge amount of experience and expertise and this strategy is a way for them to articulate this in a way that assists others, challenges assumptions and creates value. Having a strong opinion is encouraged but it must be backed up with fact, data or credible citations. The authors have taken on some of the very big issues and challenges in the industry by leading the way. In many cases we can document when authors have begun to raise alarms or identify dubious tactics or dishonesty only to have the industry as a whole catch up months or even years later. The media transparency issue which blew up in the last year was being discussed on the TrinityP3 blog back in 2012. In 2013 and 2014 we asked who your media agency really worked for and whether media rebates and kick-backs had killed media neutral planning. Then in 2015 and 2016, as this scandal developed, there were a range of insights from the team. When the story broke in the trade media TrinityP3 already had a comprehensive history of articles and this was summarised in this post by Darren Woolley. The same can be said of corrupt or deceptive production practices or for the challenging and confusing world of digital and data. As well as posts that act as harbingers of future trends or challenges, many posts clarified complex concepts and gave step by step explanations of the how, why and what of marketing management. One post by Darren Woolley was read 23,511 times with an average time on page of 6 minutes 11 seconds. The post shared examples of the different approaches to budgeting from both an agency and marketer perspective. This struck a chord with our audience and because of the value it gives, it checked all of the boxes for a high ranking on Google for a broad number of search phrases globally. This is just one of the many evergreen posts that bring visitors to the website month after month. Here are a few of the other posts that gained some of the top visitor results. How many billable hours are there in a year? Of the 3 types of collaboration, which type do you need? This is not just down to luck as every potential post is analysed for search demand and is optimised to best answer questions that are being used on Google (where SEO meets content marketing). Some exceed expectations and some do not live up to the potential that global traffic numbers suggest. But overall, each piece of content adds to the mix in an incremental way apart from seasonal or time sensitive posts which make up a very small proportion of our publishing. You will notice that the posts we publish are anywhere from 1,000 to more than 7,000 words and this is no accident. 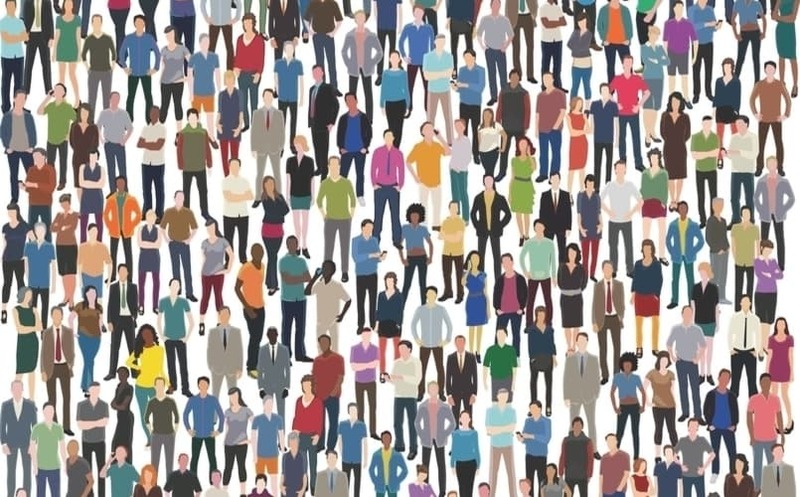 Long form content has been proved time and time again to be the most effective in the B2B space when it comes to views, shares and attracting links. As well as a number of international studies we have dug down on our own data to verify the best range for value metrics. Our own analysis points to a peak in interest between the 1500 and 2500 word marks, However, some longer pieces such as the 7,400 word inbound marketing post from 2015 I mentioned earlier have also had excellent results. The podcast transcription posts also weigh in at more than 6,000 words each and these are resulting in a growing number of views and shares. Additionally, substantial posts tend to be linked to as reference material which aid the growth of site authority for SEO. The top new posts on the TrinityP3 blog in 2016 are covered here and they take in agency remuneration, client-agency relationships, digital transformation, media transparency, agency selection and much more. These add to the library of high-performance content already working for us. Content Marketing has always been one of the major priorities in the TrinityP3 strategy. “Knowledge is Power” has been a consistent theme for this project and this commitment to sharing valuable information to help others to navigate the confusing and complex world of marketing is a cornerstone of our work. The Content Marketing strategy has been recognised by a number of global influencers and the success of this strategy has been analysed and shared with audiences around the world. The blog is one (very important) part of the content marketing strategy. However, blog posts are not the only element. TrinityP3 creates content in a range of formats which means that the audience can choose how they digest the knowledge that the content team shares. Here is a rundown of the key non-blog content. Each year since 2013, TrinityP3 has published a book in both paperback and ebook. The 2016 book had more than 270 pages of insights and featured the most popular posts in views and social media shares from the blog. This book covers a wide range of marketing topics from media transparency and digital marketing to agency roster management, marketing procurement, production, business alignment and everything in between. The authors include TrinityP3 consultants and management as well as industry experts from both agency and client-side. Demand for the book has grown year on year and it has become an important way for many in the industry to stay up with the big issues. Darren Woolley has produced a large number of interview podcasts with experts from the industry and beyond from around the globe to offer listeners insights from a range of perspectives. You can stay up to date with these podcasts here. Each of these podcasts is transcribed and a comprehensive blog post is created so those who would rather read than listen can digest the content. On the Couch is a series of video interviews with TrinityP3 consultants and industry experts filmed “on the couch” at the TrinityP3 offices in Sydney. There are 13 of these videos published as at February 2017. The videos are around 10 minutes each and topics covered so far have been marketing technology, brand marketing, social media and SEO, agency rosters, programmatic trading, marketing procurement, digital and data, media and much more. You can view the full series here. TrinityP3 also has a range of videos covering marketing related topics, webinars, industry events, keynote presentations, panel discussions, expert interviews and more. An explainer video for trading desks and programmatic media has had more than 15,000 views. The explainer series has had subtitles added so that they can be uploaded to Facebook taking advantage of the autoplay in silence feature that the newsfeed defaults to. These are added at regular intervals. A range of substantial White Papers was created which took a deeper look at some of the key topics TrinityP3 has been discussing over the past five years. You can download these comprehensive pieces here. Email communication to our extensive list is also a key strategy. Twice a month a newsletter is sent out that covers a specific topic with content from the blog as well as communicating what the hot topics are and what projects the team is working on with clients. And there are many more. You can delve back through these newsletters here. Although Slideshare is viewed as a social media platform, particularly now that it is owned by LinkedIn, it is also an important content marketing platform. TrinityP3 has 60 presentations uploaded to Slideshare and these decks routinely get viewed more than 1,000 times with many achieving much greater numbers. Digital Agencies versus Technology Agencies has now been viewed more than 21,000 times. Managing Television Advertising Production Costs has been viewed more than 12,000 times. You can visit the Slideshare channel here. As well as blog posts, video, podcasts, Slideshares and the social media and SEO strategy, there are also a number of other pages that are visited regularly on the website. The biggest non-blog page (outside of the homepage) is the Calculators page. Ever wondered how much that head hour rate equates to an annual salary? Ever wondered how much the annual salary equates to an hourly head hour rate? Ever wondered how many billable hours there are in a year? Ever wondered how to convert the overhead and profit mark up to a multiple? You can use the calculators here (as many do) or you can upload the mobile app here. The Agency Register is also one of the top pages on the site. This free, confidential service allows agencies to register their interest in new business and manage their information. In this way they are more visible for the increasing number of global agency reviews TrinityP3 manages. The Agency Register page also has a range of other resources useful to agencies when considering a pitch. The Ultimate Guide to Digital Marketing in a Data-Driven World is also a popular page with visitors. This free download is a 27,000 word guide to help you understand the complex world of digital marketing. This was available initially in magazine format and is still regularly downloaded from the website. This is an area that many businesses and websites are woefully inadequate in addressing. Because Google is such an important supplier of visitors to websites you would think that ensuring technical compliance to Google’s guidelines and recommendations would be of the highest priority. Non-compliance leads to poor results – it’s as simple as that. Every technical improvement made will bring incremental improvement to visibility and therefore, to website results. A consistent regime of audits, corrections and improvements is a key part of the TrinityP3 strategy. This is extremely important as changes to technical elements can have a significant negative effect on where your website shows in Google Search. It is well documented that lower page positions will lead to fewer visitors and the drop-off between positions 1 to 2, or 3 to 4 or even worse, a drop to page 2 of the SERPs (search engine results pages) for a targeted search query has a major impact on traffic. Structured Data – is it being used and is it correct? Link profile – any concerns or major shifts? Anchor text – is it natural and useful? Index status – how many pages are indexed and what is the content value of these pages (e.g. accidental indexing of duplicates or dynamic pages)? Pagespeed – how fast do the pages load? Where can improvements be made? 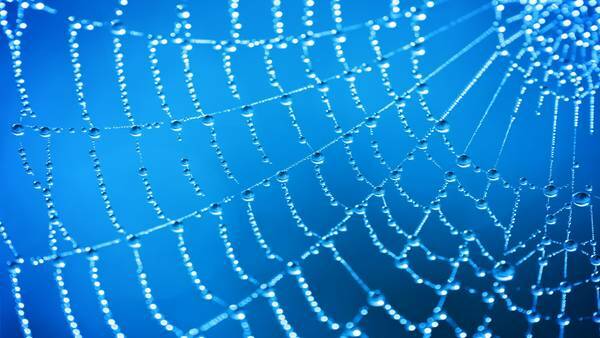 Metadata optimisation – is it within length guidelines and is it natural? Targeting – how effective is it? URL compliance – best practice is no capitals, no special characters, no underscores, no dynamic URLs and not too long. Yes, there is a lot to cover but having these elements working well means an efficient and effective web asset. In 2016 Google focused strongly on pagespeed and recommendations for secure certificates. Another one of the biggest shifts was toward mobile experience with a move to a Mobile First Index. 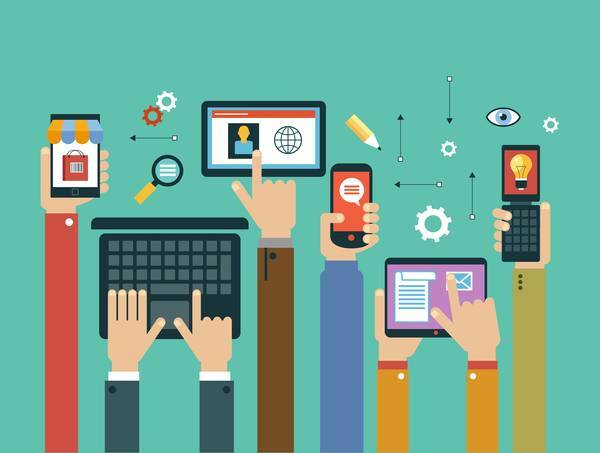 This means that if your website is not giving a good mobile experience then you will be impacted across the board. Even your desktop performance is calculated on your mobile experience. Speed of loading is very important as is layout, intuitive navigation and sizing of buttons and viewport. A Google Developers tool to test and gain insights on how fast your website loads with recommended fixes is available here. 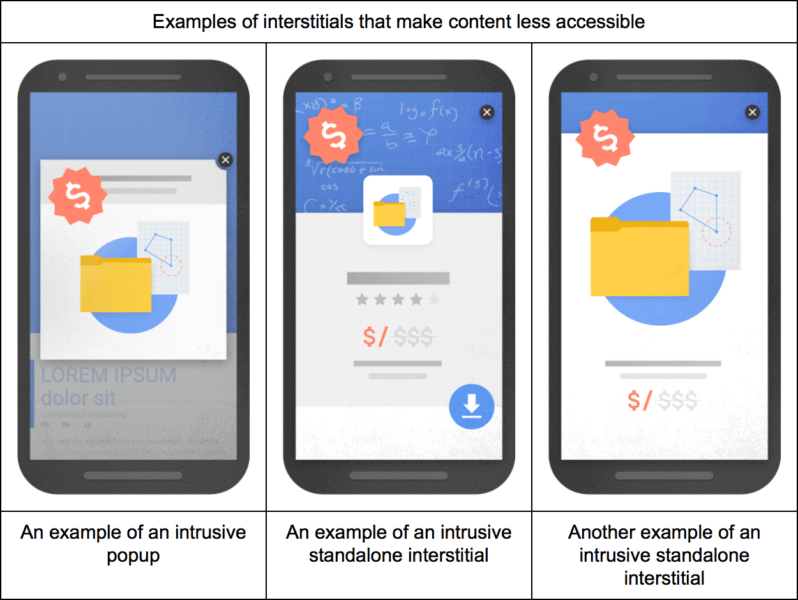 Additionally, Google has just rolled out an intrusive interstitials penalty. This means that any mobile version of a website, either responsive or mobile specific, will be penalised for intrusive popups. 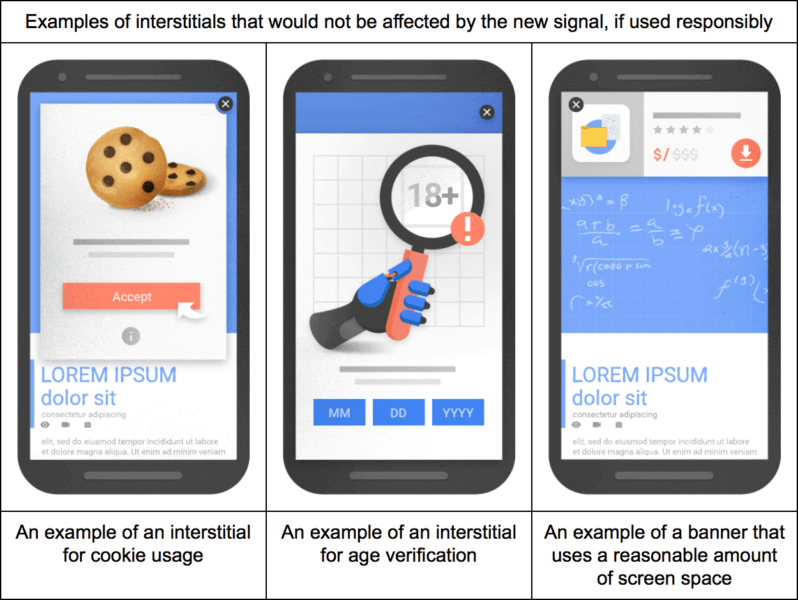 This is Google’s graphic of interstitials that will be penalised. The way to read this is that if the popup takes up a large proportion of the mobile screen, you will be penalised and you can expect a drop in visitors. Google also forced many website owners to think seriously about a move to https (secure certificate). As of January 2017 Google is sending warnings to webmasters and adding a “Not Secure” warning to the latest version of their Chrome Browser if pages require a login or use of a credit card. Google has announced that following the ecommerce and login pages they will roll this out to all pages on the web but they have not said when this will happen. For TrinityP3, the January 2017 warnings would have affected the Agency Register and pages where passwords were required as well as the ecommerce pages for the Marketing Management books. So we shifted to SSL (secure sockets layer) in 2016. You will notice that almost all major websites use https now. We also shifted to Amazon servers with high capacity and with sandbox site versions for testing upgrades and site changes before implementing on the live site. Migration to SSL is not a simple process. If it is managed poorly, you will see dramatic negative results. One major social media blog lost 90% of their organic traffic when they migrated to https. Use of Structured Data is also being pushed by Google. This microdata gives more detailed information to both search engines and to human users. The use of rich snippets in search results allows a range of possible enhancements for creative work, books, movies, recipes, music, products, people, organisations, places, events, offers and more. Schema.org is a collaborative initiative sponsored by Google, Microsoft, Yahoo and Yandex. 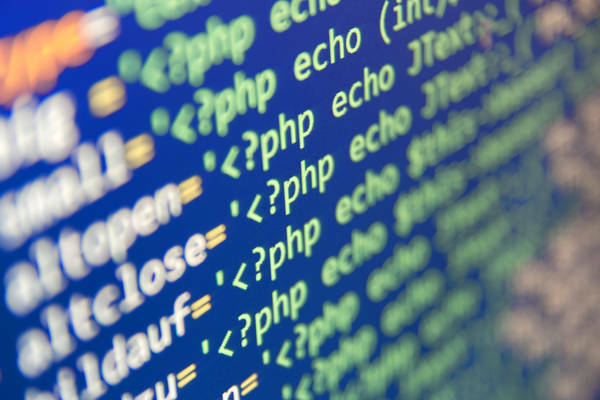 This vocabulary can be used with many different encodings, including RDFa, Microdata and JSON-LD and its purpose is to improve the quality of information on the internet. Overall, you should be aiming for a website experience that is fast, error free, suited to all device types and lacking in features that could negatively affect user experience. One of the primary elements of TrinityP3’s inbound marketing strategy is search engine optimisation or SEO. This is the strategic side of ensuring maximum performance in organic search. And as I pointed out at the beginning, organic search is by far the most valuable contributor to website visitor numbers and the reason we broke through the 200,000 visitor mark in 2016. SEO is a highly complex art and science and it is subject to a high speed of change. It moves so quickly that educational institutions are unable to keep their curricula up with best practice. Due to the hundreds of changes every year, a marketing study course is already out of date by the time it is approved. Technical implementation, research, testing, measurement and adjustment all feature strongly. The key with SEO is a dedication to quality and value and the avoidance of spammy or dubious hacks. Purpose and intent are important considerations when developing a targeting strategy and small adjustments can have a profound effect. The first thing that you must consider is how your work will appear to human users. Is it informative and does it encourage a specific action? Once we have the human-facing side of SEO covered we can ensure all points are optimised for search engine robots. We must make all elements align to the value we are giving and we must ensure the content produced is clear, intuitive and the intent is focused for crawling. I have heard people talk of “dropping keywords into content” and have regularly seen horrific examples of keyword overuse in content and metadata. Not only is this pointless and unpleasant for users, it also runs the risk of penalty. Our process for optimising content looks at a range of optimisation points to hone in on the value and knowledge we are sharing. Google’s move toward artificial intelligence has resulted in a shift in SEO strategy. The move from “strings to things” has driven the evolution and first Hummingbird and then Rankbrain have been the result of smarter technology and a greater understanding of human behaviour and intent. Targeting high traffic search queries is still valuable but the semantic approach with a range of possible variations has all but eliminated the calculated use of exact match phrases in content. Natural language and associated word variations are more beneficial in the post-Rankbrain world of SEO. To encourage a shift away from obsession with “keywords” Google first removed keyword data from Analytics and then removed access to Keyword Planner data to all except those who are running Adwords campaigns. The world of SEO practitioners cried foul but the reality was that too many were focused on the wrong concepts. Yes, we use traffic data to evaluate targeting and there are some excellent tools available to assist with making data-based decisions. But this should be in association with the many strategic elements. Having all of these aligned is the reason why we have succeeded with the strategy. Finally, we get to the fourth pillar – social media. Although it contributes just 10% of visitors, it is still an extremely valuable part of the overall inbound strategy. Reach, engagement, generosity, reputation are all achieved through social and there is the added bonus of powerful popularity signals for search engines. A popular brand that has a range of positive signals will perform better than one without these factors. An engaged audience in social, website metrics around visitor time on page, brand mentions on reputable media sites and more will contribute to the brand performance picture. In the previous inbound marketing strategy and revenue results post I shared social media strategy for each of the platforms and results up to that point. Our social media audiences have continued to grow strongly but over the past year there has been a shift in the effectiveness of each of the platforms. LinkedIn has continued to grow, both as a supplier of quality visitors and as a content publishing platform. Most of TrinityP3’s potential clients have a presence here and our range of company and personal profiles are effective for visibility of the content produced. Darren Woolley’s personal connections on LinkedIn number more than 11,000 and the company page has over 1,000 followers. Across the consultant team of 30 people across the globe, this is a large and valuable resource. Facebook has had a resurgence and with increasing use and targeted sponsoring opportunities, it has become an important social media platform for business as well as personal use. Our tactic of creating targeted audiences in specific geo-locations with specific interests leads to a valuable number of qualified visitors to the site. Twitter has had a troubled year in 2016 with reported drops in effectiveness across the globe. Our account followings are significant and visitor numbers are still valuable but we are seeing reducing numbers of visitors at present. It will be interesting to see how the leadership at Twitter will address this as all efforts to monetise have been unsuccessful so far. 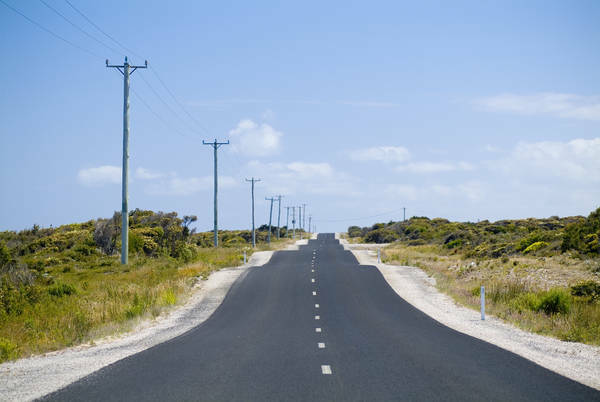 However, it is still a valuable information channel as speed is its primary advantage. Google+ still struggles to make progress but has other benefits. Traffic numbers are comparatively low but the alignment between Google+, content, SEO and Google My Business is impossible to ignore. Other channels – Instagram, Slideshare, YouTube – all contribute in their own way and this broadens reach further. Tools for tracking results and sharing and scheduling content make the social media process manageable and this assists with growing our social reach. We are constantly adjusting all elements of the social strategy from targeting to frequency as well as changing the types of content we are promoting through these channels. As I mentioned at the start, we have also had some challenges which we have had to overcome in our journey to 200,000 visitors. One of the biggest issues was data corruption in Analytics. This has been a universal problem in 2016 and there are very few websites that have not been affected to some degree. There were two key influences – referral or ghost spam and more recently, language spam. Surprisingly, most of it has come from one Russian hacker who took pleasure in promoting Donald Trump during the US elections and in goading Google at the same time. Thousands of fake visits to the Analytics accounts with a message “Vote For Trump” had to be blocked and retrospectively removed from data. This was Language Spam targeted because languages show up on the opening dashboard of Google Analytics giving him the greatest visibility. Across the web these would have resulted in billions of messages of this type. Ghost and referral spam was also a big issue and a range of steps had to be taken including the use of filters to remove visits from invalid hostnames. The hacker even imitated legitimate sites like Washington Post, New York Times, Reddit and Google in an attempt to evade detection. Clean data is critical for accurate measurement of results so we have played a game of cat and mouse for most of 2016 as the spammers have changed tack several times. We have had some other technical challenges including a large number of pages surfacing in Google’s index that relate to a website version from many years ago. So we have had to be diligent with monitoring crawl errors. As with most sites we have also been focused on pagespeed and have managed the process of plugins, images, browser caching and minification to make incremental improvements to site performance. On behalf of the entire team at High Profile Enterprises it has been a great pleasure to work with the team of experts at TrinityP3 for another year. Every day we learn more about how the industry works and what solutions and innovation look like in a complex and fast moving business environment. Darren Woolley in particular has contributed a huge amount of exceptional content and his “always on” social media media presence makes it easier for us to do our job. The rest of the management team and the team of consultants consistently deliver above and beyond expectation and the administration, development and digital partners keep everything working to a very high standard. 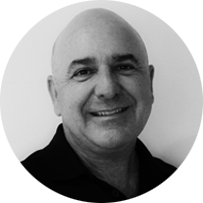 Mike Morgan works with innovative businesses in New Zealand and Australia developing custom web marketing strategies integrating SEO, Content Marketing and Social Media. Mike has been featured in 41 Rising Stars of SEO and Top 100 Most Followed SEO Experts on Twitter and has his opinions on SEO and Content Marketing published on a range of global content marketing blogs.